When the end of your tenancy arrives, often you are required to hand the house back in pristine condition. Our end of tenancy cleaning in Cambridge offers a high standard and will give the house a new built look. What Should I Be Cleaning? For an end of tenancy clean, you want to clean the entire house from top to bottom and inside out. It will need to be immaculate otherwise you may risk not getting your full deposit back. Ensure that you clean all of the house’s appliances such as the oven, microwave and dishwasher. During your stay in the house they will have been used a lot so make sure you clean them thoroughly. Walls get a lot dirtier than you would expect and cleaning them will allow the house to look fresher and tidier. To clean the walls simply use some warm soapy water and a sponge to wash off the visible dirt. You might benefit from cleaning any furnishings that came with the house. This will include curtains. Washing them will make the house look better and will also remove any musty smells. Don’t forget about the garden! Trim back any bushes and perhaps mow the lawn to make it look just as presentable as the house. Don’t have time to clean all this? Professional end of tenancy cleaning in Cambridge will do a thorough job of making the house spotless and allow it to look bright and fresh. At the end of your tenancy, you are likely to want a strong cleaning team that will make the house look impeccable. Our highly experienced cleaners will offer you a professional service, and with their high attention to detail, you can expect to see the house sparkle again. Moving out of your home is very stressful, and we aim to make it as stress-free as possible! 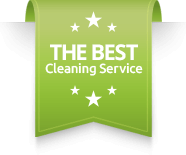 We do this by providing a dedicated and reliable team of end of tenancy cleaners in Cambridge who will make the house look radiant and smell fresh.